We are continuously meeting the diverse demands of the customers for risk mitigation by offering Marine Cargo Insurance. We carry vast expertise in dealing with cargo insurance be it sea, air or via road. - Important part of commerce & trade, both domestic and international. Abhishek Supply Chain Solutions Pvt. Ltd.
From our extensive facilities, we facilitate our respected clients with insurance services, which are done before delivering the consignments. To ensure safe handling and transportation of the consignment, we try to take safe step of insuring the entire range. Through this facility, the products are covered against unforeseeable contingencies like theft and fire. Air-C Shipping Services make it easy to get cargo insurance and insure for International shipping or domestic transport coverage for your commercial cargo or personal goods. Another points is our insurance rates are very competitive . It could cut down your logistics cost absolutely. If you need , just let we know. The purpose of cargo insurance is to cover goods in transit – during land transport as well as transport by sea or air. It is essential for cargo insurance that a loss is recoverable only by an insured who at the time of loss has an insurable interest in the goods. We also provide insurance service for the consignment, which we deliver. In case of any mis handling or destruction caused to the consignments, we offer insurance facility that recover the loss of the clients that is caused during transportation. We have earned a reputed position in the market by offering Cargo Insurance Services. These services are rendered by professionals who use the sophisticated technique and reliable source. Our services are extremely praised in the market due to their timely implementation. Our services can also modify as per the needs of the customers. 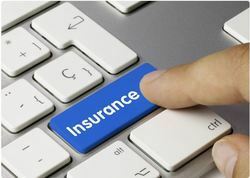 Insurance coverage can be provided either on door-to-door basis or on arrival of cargo at a particular port, till the time it is door delivered at the final inland destination. We also competently facilitate the speedy process of your claims in case of any accidental damage to the cargo. At Damco, we handle your cargo with the highest care and attention. However, physical loss or damage to goods and / or merchandise whilst in the ordinary course of international transit happens more often than you think. We provide insurance coverage for your cargo. A Part from your every effort to ensure the safe handling and transport of your consignment, a insuranve cover is needed to cover your cargo against unforeseeable miss happenings (e.g. thefts or fire). We provide services related to insurance of your cargo while you are sending it to other states / countries. For a very reasonable premium, we assure you a mental peace because we understand the value of your consignment. Should something go wrong when you’re shipping cargo, the compensation to which you’re entitled is normally calculated against a ‘limited liability clause'. As per customers instrction Company insure goods on the basis of Port to Port & Door to Door. Insurance has become essential for everyone traveling abroad! We, at Visa zone, do not directly deal with Insurance companies, but we always keep in touch with the Registered Insurance Agents. We always prefer that our client should get maximum benefit. 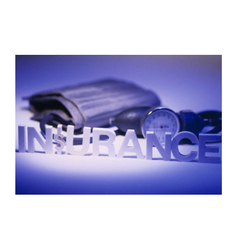 The Insurance Agents, we deal with are quite trustworthy and efficient in their work.